• 85 decibels: Exposure over an 8-hour period risks hearing loss. • 90 decibels: Exposure for 2 hours risks hearing loss. • 97 decibels: Exposure for 30 minutes risks hearing loss. • 100 decibels: Exposure for 15 minutes risks hearing loss. • 120 decibels: Exposure less than 30 seconds risks hearing loss. • 130 decibels: Any exposure risks permanent hearing loss. 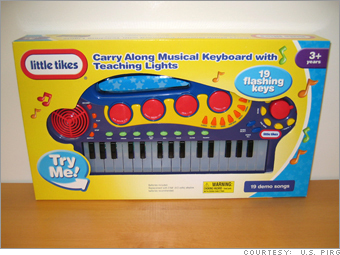 As of November 2003, The American Society for Testing Materials (ASTM) finalized specifications for sound-producing toys that include (1) limiting the sound pressure level of hand-held, table-top and crib toys to a level not to exceed 90dB when measured from a distance of 25 centimeters; (2) limiting the sound pressure level of close-to-the-ear toys to a level not to exceed 70dB when measured from a distance of 25 centimeters; (3) limiting the sound pressure level of toys with impact-type impulsive sounds to a level not to exceed 120dB when measured from a distance of 25 centimeters; (4) limiting the sound pressure level of toys with explosive-type impulsive sounds to a level not to exceed 138dB when measured from a distance of 25 centimeters. There are numerous exceptions to the standards(xviii) and the standards are voluntary. The standards, while a solid step in the right direction, are flawed (xix) and should be strengthened and stronger standards should be enforced by the CPSC. This year, NYPIRG researchers identified numerous toys that were dangerously loud. 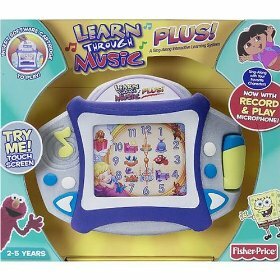 For example, a surveyor identified a toy called “Learn Through Music” manufactured by Fisher Price that produces noise at 102dB at 10 centimeters and 92dB at 25 centimeters. 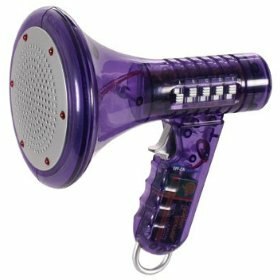 To protect children from dangerously loud toys, NYPIRG supports the recommendations of the League for the Hard of Hearing: (1) If a toy sounds too loud for you in the store, don’t buy it. Children are even more sensitive to sound than adults. (2) Put tape over the speakers of any toys you already own that are too loud. This will reduce the noise levels of the toys. (3) Remove the batteries from loud toys. (4) Report a loud toy to the CPSC. CPSC should: (1) Enforce the new ASTM standards to the fullest extent. (2) Consider strengthening the standards to be more protective of children’s delicate ears. 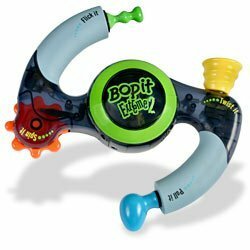 Specifically, CPSC should consider lowering the threshold for hand-held toys from 90 dB to no higher than 85 dB. Washington D.C. (July) – The AG Bell Leadership Opportunities for Teens (LOFT) program wrapped up four days of whirlwind activities in Washington, D.C., which included panel exercises with local dignitaries, a tour of the White House, a ROPES course adventure and a special presentation at the U.S. Capitol. Finally, the 20 teens between the ages of 15 and 18 who are deaf or hard of hearing and use spoken language were treated to a closing night reception at The Volta Bureau, AG Bell headquarters in Washington, D.C.
continued that while White House tours and meetings in U.S. Capitol are likely to leave a lasting impression on these future leaders, “Nothing is more important than the friendships made during their four days in Washington, D.C. That’s what LOFT is all about—peers coming together.” The 2009 LOFT program is the kick-off AG Bell’s reinvestment in youth and family programming. Revised and new programs for parents and college-age adults are also underway.